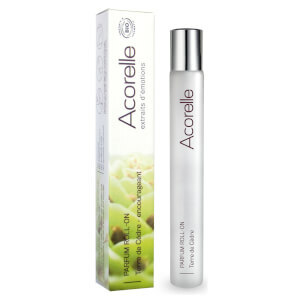 Let your hair down and unwind with the Eau de Parfum Roll On in Land Of Cedar from Acorelle, an organic and natural beauty brand originating from Southwest France. Infused with captivating essential oils, the fragrance features a sensual concoction of fresh, woody scents, evoking hints of earthy Bergamot, spicy Cinammon and comforting Cedar. Housed in a cylindrical tube topped with a massage roller ball. Alcohol **, Perfume (Fragrance), Centaurea Cyanus (Cornflower) Flower Water *, Limonene, Benzyl Benzoate, Cinnamal, Citral, Citronellol, Eugenol, Geraniol, Linalool.